Tubz Brands offers the most comprehensive business opportunities within the tower vending sector. Our start up franchises are available from as little £2,995! 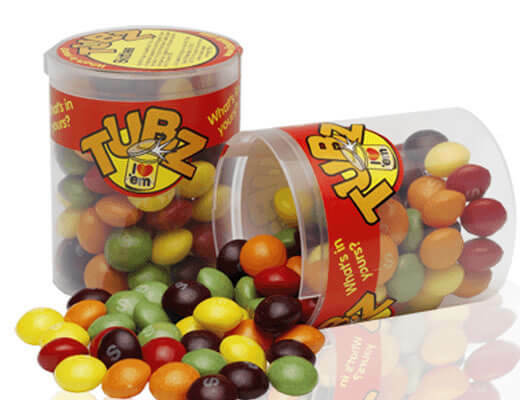 Tubz Brands is the leading vending machine franchisor in the UK. We specialise in helping new businesses to start up. Our start-up packages are the most comprehensive and affordable on the market, and include everything you will need to start your own business. Find out more – click the button below to receive your FREE franchise Information pack. Please fill in the form to receive a FREE Franchise Information Pack. Please enter your details below, and we’ll send your franchise information bundle straight away. Our franchise business bundles are full packages. Everything you need to start making cash from day one is included – all you need to decide is how much you want to invest. WHY CHOOSE A VENDING FRANCHISE? A vending machine franchise is one of the most versatile types of start-up businesses to get into. It’s cash rich, little storage is needed and it general requires minimal staffing, depending on how large you decide to grow your new company. With no rates to pay on your sites, 24/7 operating capabilities and the opportunity to move your vending towers elsewhere should a location decline in popularity, you’ll always see profits if you choose a Tubz Brands franchise opportunity. Our vending machines have a great reputation within our industry, and it’s easy to see why. The Tubz name promises security and success, continuing to this day as the UK and Irelands’ number one vending machine choice. Our company concept clearly works; our customers can see what they’re getting, our sweet and snacks range is extensive, and our products are both affordable and good value for money. Our franchise business opportunities likewise offer outstanding value, are affordable for anyone looking to start a new business and offer the opportunity for new operators to pursue your dreams by becoming your own boss. 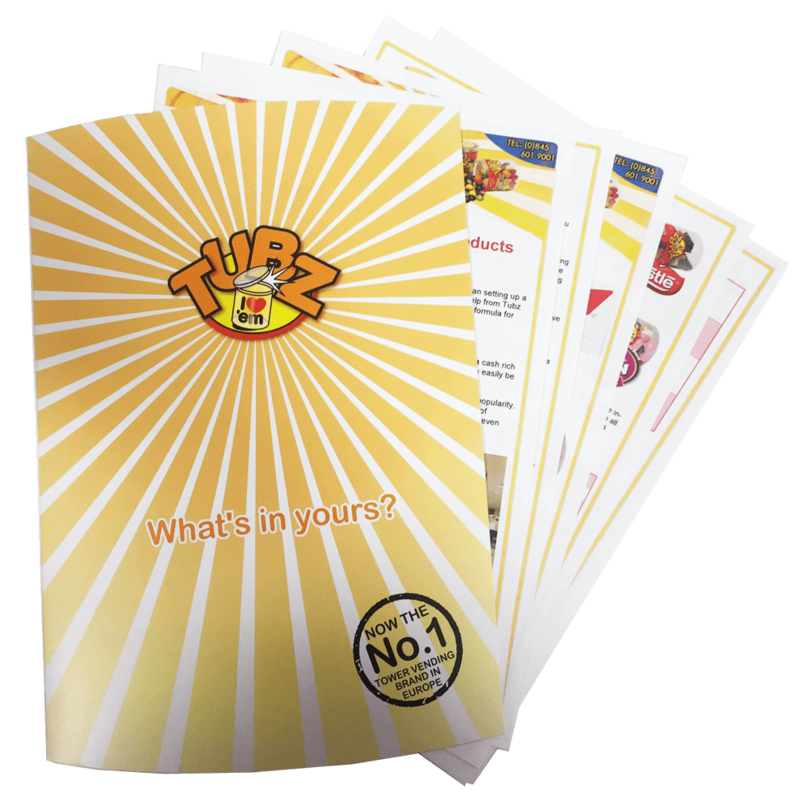 With a Tubz Vending Machine Franchise business, you don’t require any selling experience. In every package we provide, full training and support is provided. Your initial investment is all that is required to get you going, and there are no hidden charges or additional costs. With no management or annual fees too, you incur no debts and can start to see cash from day one! We were looking to invest in a business that we could run from home with flexible hours to suit us but at the same time be able to expand the business over time with minimum effort. 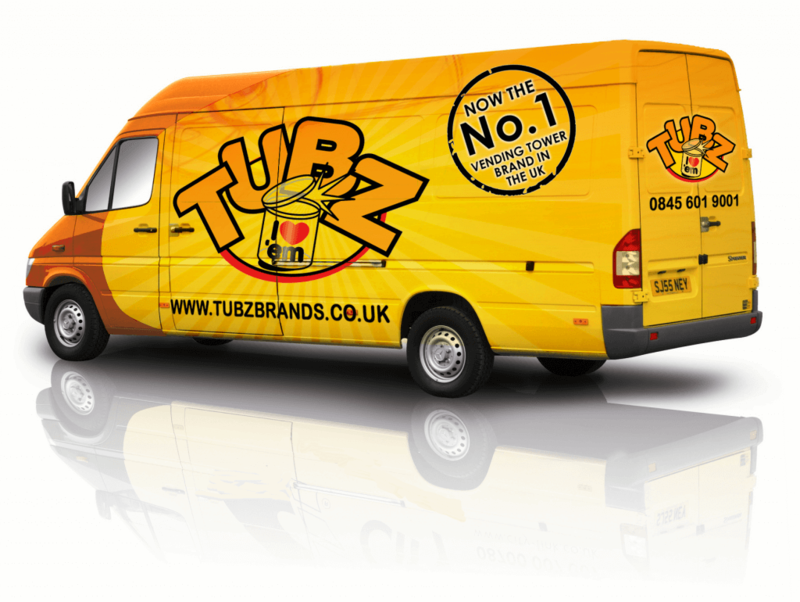 We searched the internet for a franchise opportunity and Tubz very quickly became the obvious choice for us. After our initial contact with Tubz we soon set up a visit to their headquarters in Sittingbourne, the meeting with Paul was beneficial and the answers to our questions were very positive and left us with no doubt that a Tubz franchise was for us .With low cost start up and no monthly management fees we decided to give it a go. In April we placed an order for 25 units and the sites soon started to come through. We have a wide variety of sites including pubs, social clubs, leisure centres, shopping malls, children’s play centres, civic centres etc. A couple of sites were not producing the level of sales needed and these have now been re-sited elsewhere. The key is to monitor sales of each product and swop out a line of sweets that don’t sell well in a particular site. We will soon be ready to order our next batch of towers and are looking forward to expanding our sales. If you are looking for the chance to have your own business with flexible hours to suit then Tubz could be the right choice for you. 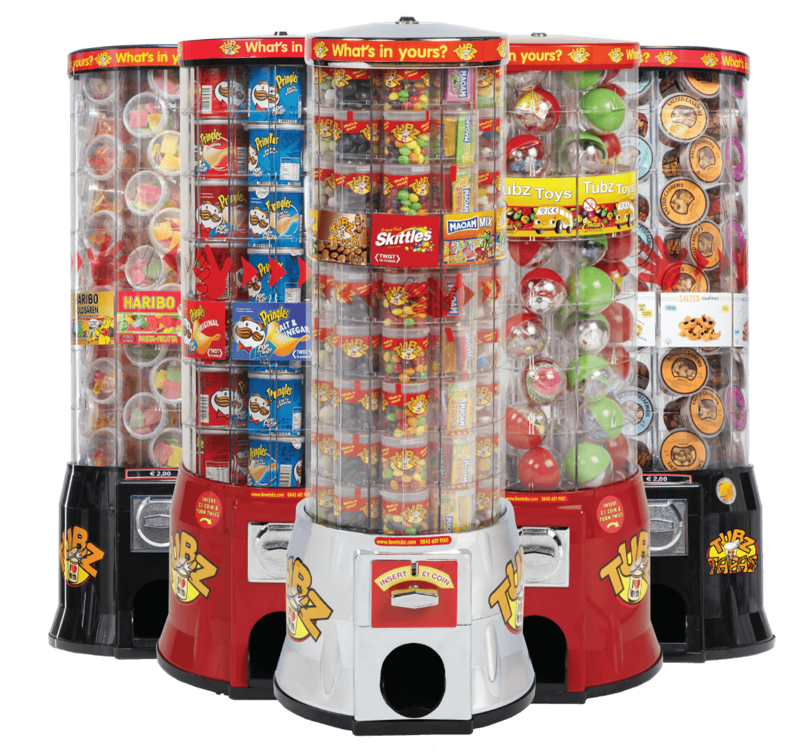 Tubz Brands are the number one tower vending machine franchise company for the UK and Europe, having offices in the UK, the Netherlands and China with master franchises in Australia, Canada and USA. Tubz have a wealth of knowledge and experience in setting up vending franchises that are perfectly suited to anyone looking to start up their own business which can easily dovetail with their existing work. Tubz and their existing franchisees operate over 30,000 vending tower machines throughout the UK and Ireland, ensuring we have the experience to guide you through the start-up process and will be with you every step of the way to help your new business get off to the best possible start. You will be allocated a dedicated Customer Manager to support you throughout your new vending career, so if you need any help we are only a phone call away. Remember, you will be going into business for yourself, but not by yourself. Tubz will be with you every step of the way. This unique opportunity can be run on a part time, or full-time basis? Perhaps you’ve been made redundant and looking for a fresh start, thinking about or have already retired, or are simply looking for another way to make some extra cash? Then a Tubz Vending Machine Franchise is the perfect solution for you!